I was a member of the advisory group and really out of that came the second survey of conditions in publishing, which was the Bentinck Group. And it was called the Bentinck Group because Paula Kahn and her HR Director Judy were really leading it and we held the meetings in the Longman London office ,which was in Bentinck Street. And like Twice As Many, Half As Powerful the idea was to do, commission an academic survey to explore the existence of covert barriers to women’s success within the publishing industry. And I think that was quite important because, on the surface, publishing is seen as being a very liberal environment and one where there have always been a lot of women involved. 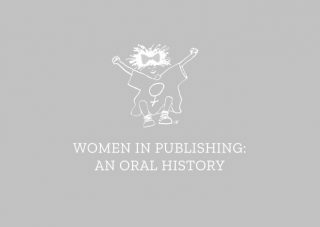 But it was striking that, particularly in trade publishing, there was still, women were still not represented at senior level in anything like the proportion of women working in the industry. And I think even though women had the same aspirations to the top jobs as their male colleagues they weren’t getting there. And the survey really substantiated the fact that there were hidden barriers that were keeping that glass ceiling in place. And a lot of companies were seen as having a sort of a paternalistic or macho culture. I mean paternalistic where actually it would be really hard to say that people weren’t kind of nurturing and so forth, but actually somehow the women weren’t getting promoted. And other companies had a very macho culture, very sales driven, very competitive. So I think the Bentinck report really substantiated the fact that there was still an Old Boys’ Network operating and creating a kind of exclusionary culture for women who were trying to get promoted. And it’s a very individualistic culture and I would say, stress again, that this is particularly evident in trade publishing. You know, team work and consensual management are praised but they are not rewarded by promotion. You know, the people who got promoted were people who were perceived as having personal charisma, they could project a powerful image of themselves, and women who were really focused just on the job, on doing a good job, did not get promoted. Overall, there’s a cultural tension in publishing. It’s a commercial business. And I think that men, perhaps, are more engaged with the idea of books as product, as this being a business, and business success, and that a lot of women who work in publishing are there because they really value books for their cultural and personal significance, and they’re very engaged with the authors they work with and particularly because there are a lot of women working in editorial roles where they do have, you know, to do that job effectively you have to have a strong personal bond with the people you are working with. So, that reinforced that sense, you know, typically sales and management being more male, and editorial and PR, you know, the ones where you are actually dealing with the people, being more female dominated. And there is a bit of a, because publishing is not particularly well paid, people tend to do it because they really care and it has a culture of long hours and workaholism, you know, that if you are serious as a young editor you just work all the time. You take your work home. So that sort of level of commitment to the company, putting all of yourself into the work make it very difficult for a woman who also has family responsibilities. You know, a man in that situation has the support of a woman and it is taken for granted that it’s OK for him to just concentrate 100% on his career. But women can feel punished or marginalised for their family roles. I think one man described his company as having a culture of restricted fertility, which I thought was a great way of putting it, you know, if you take advantage, even for men, if you take advantage of equal opportunity policies, whether for men or for women, it conflicts with your career potential. And, whereas men perceive ambition, drive and determination as the most important characteristics for success in their companies, women are really seen balancing home and work as absolutely crucial and they have to downplay their family responsibilities in order to be taken seriously and to get promoted.